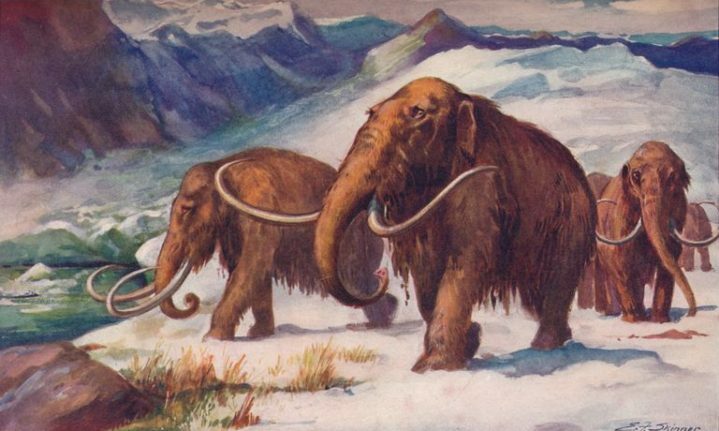 According to a new study, two well-known creatures from an icier time—woolly mammoths and Neanderthal humans—might have more in common than just when they lived. Research by scientists at Tel Aviv University finds that the two species share several genes that have to do with staying warm in winter. At first, it might seem obvious that Neanderthals and woolly mammoths share genes for resisting the cold. After all, both lived primarily in cold regions during an ice age. However, both species evolved from warm-weather ancestors from Africa. Any split between the two evolutionary paths happened long before they moved to colder weather. The upshot is that Neanderthals and woolly mammoths evolved the same genetic adaptations independently. This is an example of what biologists call convergent evolution when organisms evolve the same traits multiple times in different ways. For instance, birds, bats, and insects all evolved wings at separate times and use them in different ways. In the same way, the Tel Aviv researchers showed that both Neanderthals and woolly mammoths evolved the LEPR gene, which regulates the body’s fat storage and internal temperature. Both species evolved that gene after they arrived in frozen Europe at different times. The researchers also identified a handful of other genes that share this pattern. This research can provide a framework for scientists studying the evolutionary history of other species. As more species—both present and past—get their genomes sequenced, researchers can start to find even more patterns like these. Who knows how many times different species have evolved the same traits independently. Now that we have an idea of how to find out.